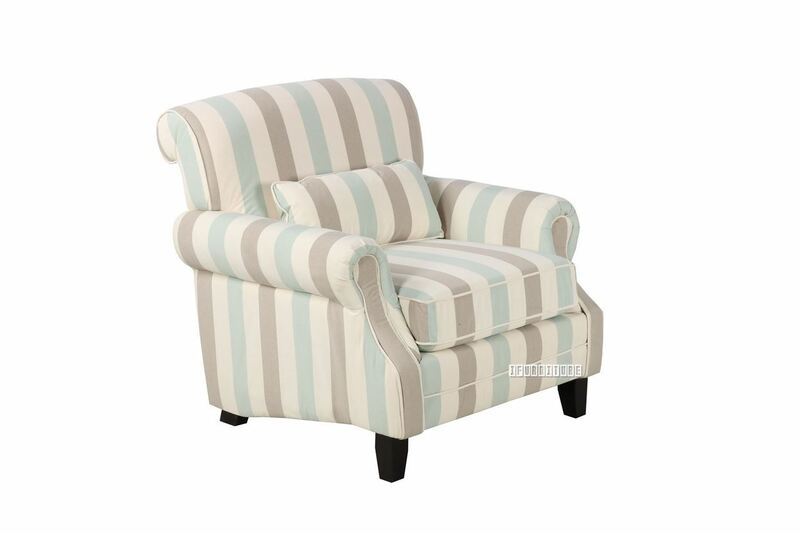 ifurniture's NORAH lounge chair is a timeless classic design in a variety of upholstery options. ifurniture's NORAH lounge chair is a timeless classic design . This elegant NORAH Lounge chair features a vintage-inspired style that will add a touch of French laundry flair to your living room. Rolled back with round pillow cushion creates a contoured look, framed by beautiful rolled arms with classic nail head trim, creating just the right blend of modern of old-world. High: Back 88, Arm 62, Seat 45.